Below are many Frequently Asked Questions (FAQ) about Blood Alcohol Calculations and Blood Alcohol Levels. What does “bac” stand for? Depending on the context, it usually stands for “Blood Alcohol Content” or “Blood Alcohol Calculator.” It is the weight of alcohol in your blood, as a percentage of your body weight. 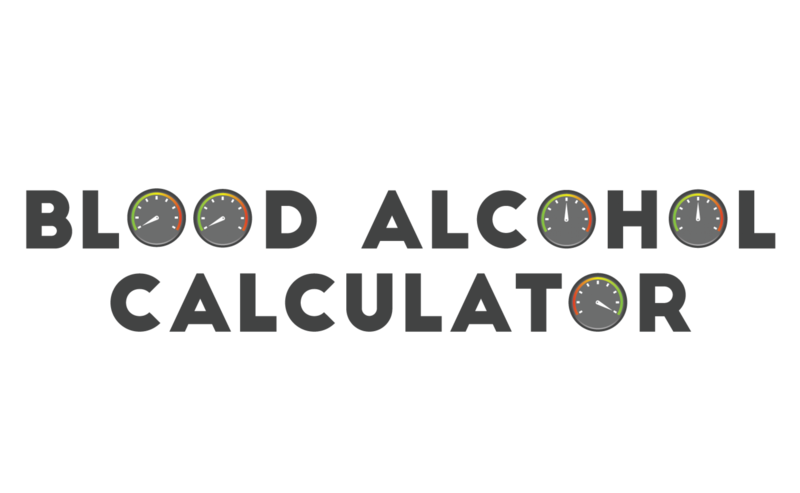 How do blood alcohol calculators work? Blood alcohol calculators typically use Widmark’s Equation (or Widmark’s Formula) is named after E.M.P. Widmark, a Swedish physician. The blood alcohol calculator featured on this site is an estimator only, and should not be relied upon for forensic or legal purposes. In the interest of making the calculator quick and easy to use, a number of assumptions are made. The calculator assumes that each drink consumed is a “standard drink.” A standard drink is assumed to contain 14 grams of pure ethanol (the alcohol that humans consume socially). This might be the typical ethanol content of one standard 12-ounce beer, one 5-ounce glass of wine, or one 1.5-ounce shot of liquor. As you can imagine, the calculations will vary wildly when one starts taking into account the difference between a 12-ounce Coors Light (a relatively low alcohol content) and a pint of double-imperial ale (a larger drink in terms of volume, and all at a much higher higher alcohol percentage). Cocktails additionally add a great deal of variability. Cocktails often contain more than one shot of hard liquor, and they are often mixed so as to mask the taste of alcohol. For example, a seemingly light and innocent cocktail made with vodka, fruit juice, triple sec, and soda may have two or even three times the alcohol than what would be in a straight shot of bourbon. When blood alcohol estimations involve cocktails, it’s important to remember that every 1.5 ounces of liquor typically contains as much alcohol as 12 ounces of beer or 5 ounces of wine. if I’m under .08%, am I okay to drive? Not necessarily. Mental and/or physical impairment by alcohol can occur at much lower levels. In all states in the United States, impairment is legally presumed at .08, but it can still occur at lower levels. DUI, DWI, and OWI charges can also be filed in many jurisdictions at levels below .08.
how do I know if I’m okay to drive? This is the most difficult part of DUI cases. Was the driver intoxicated or impaired? How can you tell? The bottom line is that if you or someone else is in doubt as to whether you can safely drive, then don’t drive. Call a friend or relative, take a cab, call Lyft, call Uber, even walk if you have to. It’s not worth the risk that you’ll be arrested or possible hurt yourself of someone else.